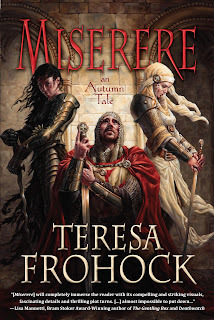 Teresa Frohock, author of Miserere, is stopping by the blog today! 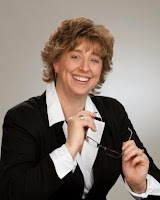 As she tours her newest book she is stopping by blogs and sharing little pieces of herself. Each blogger was able to ask her one question! So I made sure to make mine count. See my question below, along with her answer, info about the book, and the stops coming up! Jessica asks: "If money wasn't an issue, what would be one place you'd love to visit long term?" Cool question, Jessica. Um, let me see, right now I would have to pick Spain. I had to take two years of college Spanish, and during the classes, we also discussed Spanish and Latin American culture. I just fell in love with both. My current work in progress is set in Spain in 1348, and for my research I’ve been reading a lot about Spanish history. I think Spain has one of the most fascinating histories because of all the different cultural influences, especially during the Middle Ages. I’ve also been reading a lot of Spanish literature to get a feel for the prose. I’ve read quite a few Latin American authors and the prose styles are very similar. The stories are all so ethereal; there is a touch of mystery and magic in all of the literature. I love the people—they are physically and spiritually beautiful. And the food … oh, I’m trying to think of something I don’t like about Spain … nah, it’s not coming. What about you? Where you love to visit long term (and remember, money is no object …)? The next interview in the blog tour will be at Dreaming in Books http://dreaminginbooks.blogspot.com/ where I’ll be talking about some of the research that I did for MISERERE. I hope you’ll join me there. Teresa has long been accused of telling stories, which is a southern colloquialism for lying. Miserere: An Autumn Tale is her debut novel. Teresa can be found most often at her blog and web site (www.teresafrohock.com). Every now and then, she heads over to Tumblr and sends out Dark Thoughts http://teresafrohock.tumblr.com, links to movies and reviews that catch her eye. You can also follow Teresa on Twitter (http://twitter.com/TeresaFrohock ) and join her author page on Facebook (http://www.facebook.com/pages/Teresa-Frohock/134892453223242). Exiled exorcist Lucian Negru deserted his lover in Hell in exchange for saving his sister Catarina's soul, but Catarina doesn't want salvation. She wants Lucian to help her fulfill her dark covenant with the Fallen Angels by using his power to open the Hell Gates. Catarina intends to lead the Fallen’s hordes out of Hell and into the parallel dimension of Woerld, Heaven’s frontline of defense between Earth and Hell.